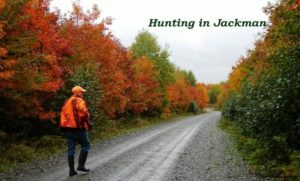 First of all, travel Route 201 to Jackman in autumn and discover the beauty of the “Old Canada Road” National Scenic Byway. Wind your way alongside the Kennebec River while filling your senses with its array of fall colors and elegant mountains. It’s fun for the whole family! 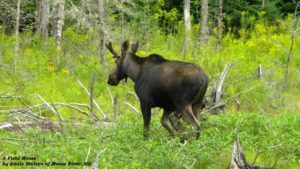 Not only does Jackman have the best fishing in the Northeast, it offers moose and bird watchers opportunities for rare glimpses into the lives of their beloved mammals. In fact, September and October are two of the best months for spotting moose. It’s a great time to see the migratory birds before they take off for warmer areas, too. Several hikes dot the landscape of beauty for the enjoyment of visitors as well. ATV to a favorite picnic spot, or go sightseeing by car to get that picturesque photo for the scrapbook. The kaleidoscope of colors provides the perfect backdrop. Polish your hunting skills by searching out ruffed grouse, ducks, woodcocks, rabbits, coyote, black bear, white-tailed deer, partridge, or the lanky moose during designated hunting seasons. Even though “heater hunting” has become a popular sport for catching the elusive ruffed grouse, I prefer the fresh scents of pine, spruce, and cedar that permeate the air as I hunt by foot. You can’t beat the clean, crisp air of the mountains. Open water fishing season is from April 1 to September 30. The extended season, October 1 to October 31, is catch and release only. So, if you haven’t gone fishing yet, there’s still time! ATV Season in the Jackman region generally stays open through mid-November, depending on the weather and trail conditions. Keep an eye on the Jackman-Moose River Region Chamber of Commerce website for more details on trails. Don’t worry if you don’t have an ATV, there’s a rental business right in the area. Why not enjoy the fall foliage while venturing out? Please remain on designated trails. 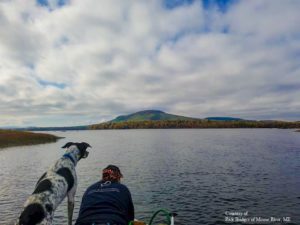 Discover what Jackman is all about this fall and remember, “Adventure is our Maine Attraction!” There’s something for everyone in the Moose River Valley. Here are some fun facts on moose: Did you know that the legs of a moose are longer in the front? That’s right. Maybe that’s why they look so lanky. The flap of skin that hangs under the throat is called a bell. Who knew?